Semper is Alluvial's first release of 2005 and is co-released with the and/OAR label. 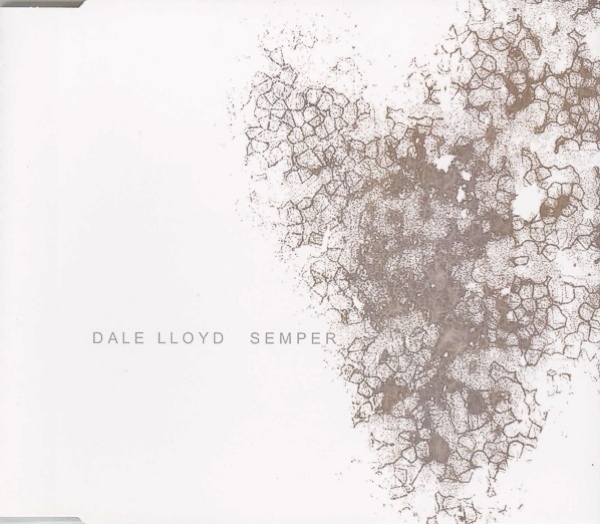 Seattle-based composer Dale Lloyd has collaborated in the past with people such as Yannick Dauby and Michael Northam, and has had work released by labels such as Bremsstrahlung Recordings, Staalplaat and Sirr.ecords. For the past 5 years, Lloyd has played a quiet but strong role in bringing new life to the notion of environmental recordings as sound art" (or "Phonography") with the highly regarded compilations produced for Phonography.org, as well as other projects and activities. The first piece entitled "Semper", is mostly a quiet and contemplative work, yet it contains sprawling builds from near silent ebbs and flows to thunderous crescendos. Also heard are delicate field recordings and found objects transformed and woven into intricate electronic tapestries. The second and shorter piece titled "Magnesian Recumbit" is a slowly building ambient work with a unique sense of melancholy that makes for a perfect ending. "For me, Semper basically illustrates a series of self-searching questions (with subtle epiphanies) followed by a somewhat enigmatic resolve or 'answer', of which I believe we have all encountered in our lives in one way or another." Surely, it is one of the strongest works to come from both Lloyd and Alluvial."